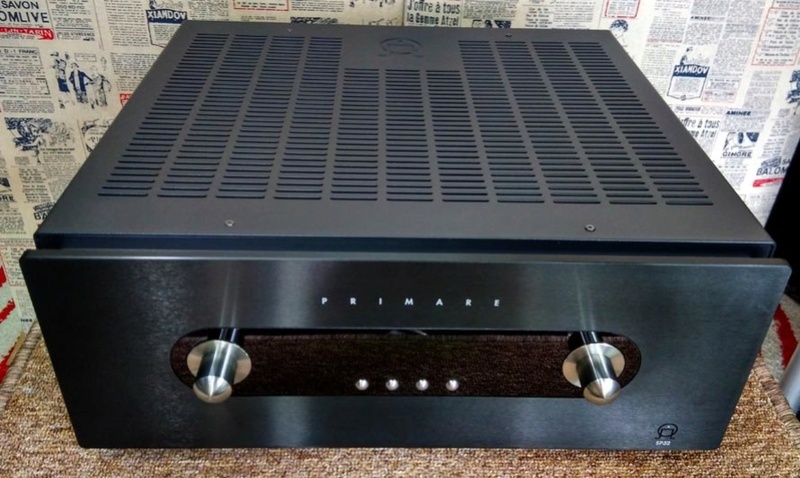 Primare SP32 Audiophile AV Pre-Processor, Pre-Amp, Upgraded. 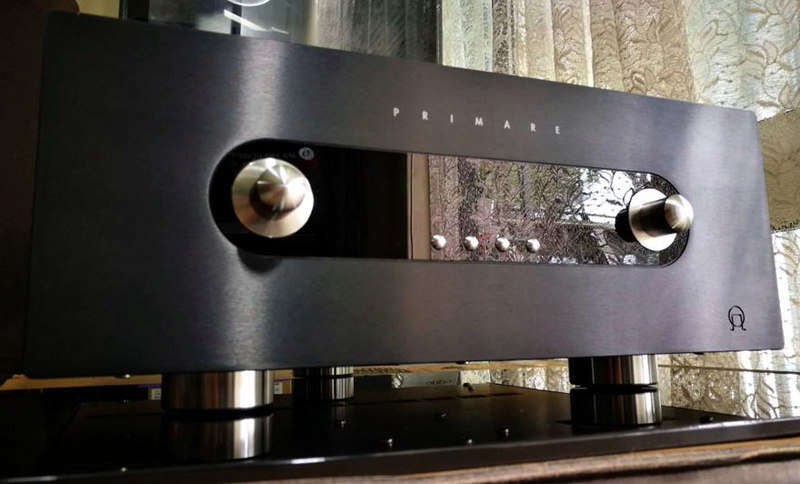 Combining amazing operational versatility and elite audiophile design with the power to incorporate future technologies, the Primare SP32 AV Processor, like its cool, confident styling, will always be in vogue. 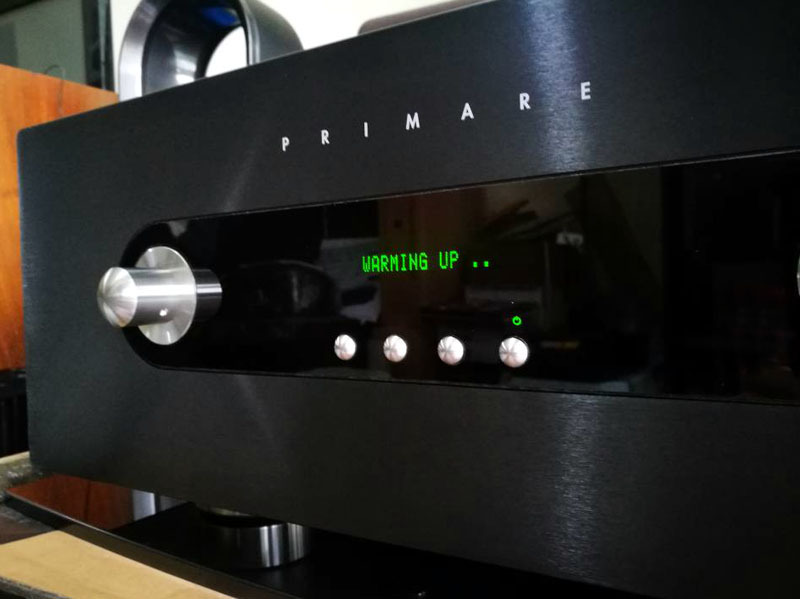 The SP32 features a modular design that allows for DSP, video and connections to be upgraded with proprietary Primare boards, incorporating thoroughly evaluated and optimised versions of the latest technologies and connectors. 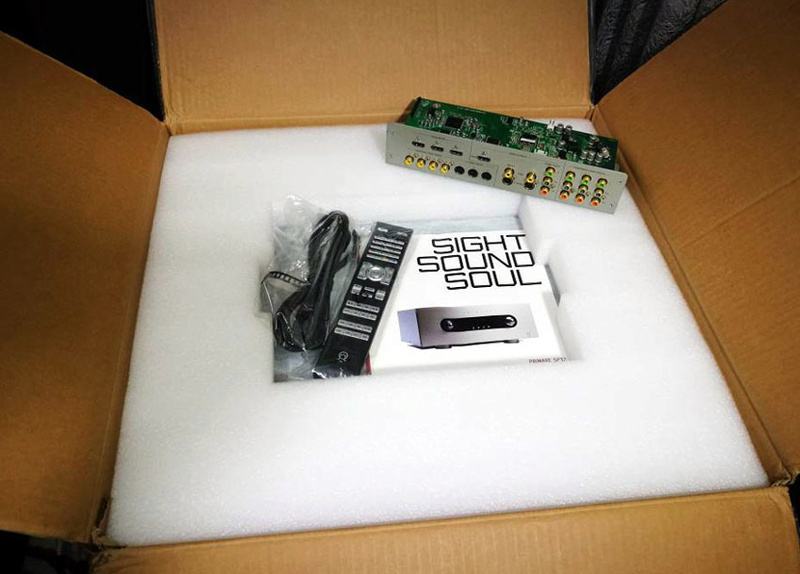 This makes the SP32 an ideal high-end audio and video processing platform for many years to come. A 140mS of delay adjustment is incorporated for the best possible picture to sound synchronisation. *Fully balanced design in the highest Primare tradition. *Elite performance and ease of use enhanced by cool Scandinavian aesthetics. *Natural successor to the successful SP31, which was recognised around the world for its high performance and innovative user interface. ##Upgraded video board for 3D. 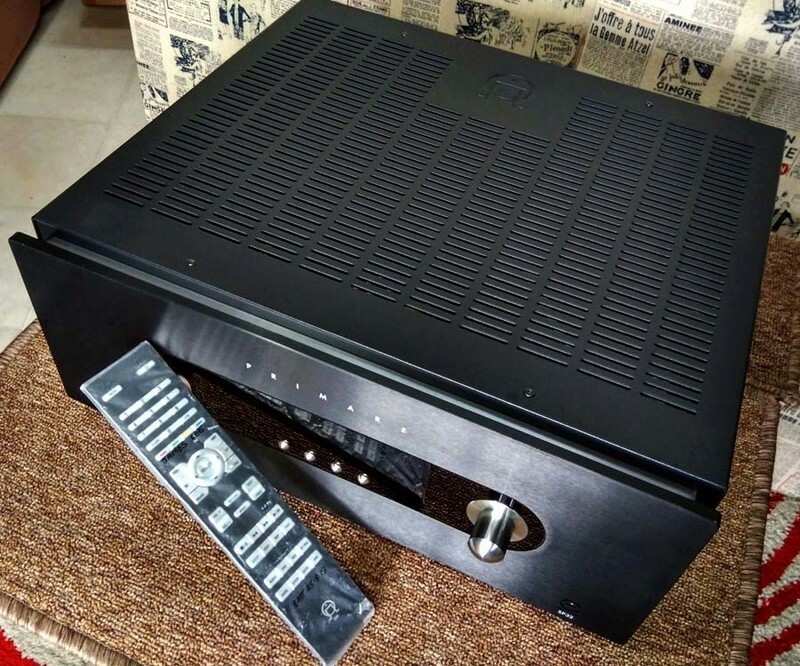 Ground-breaking modular design platform, which allows for entire audio, video, control sections to be upgraded easily by superior Primare versions of the latest technologies. 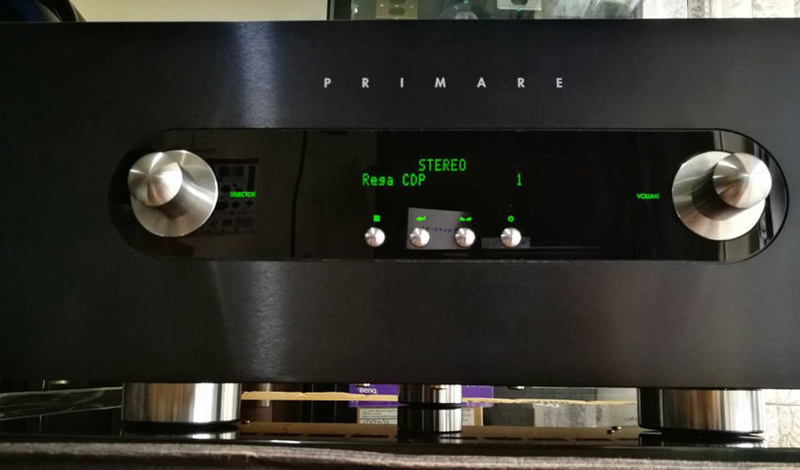 Primare’s proprietary HD audio board (DAC) is being perfected, HD audio in its highest resolution is processed through the SP32 and is immediately available to all SP32 owners. 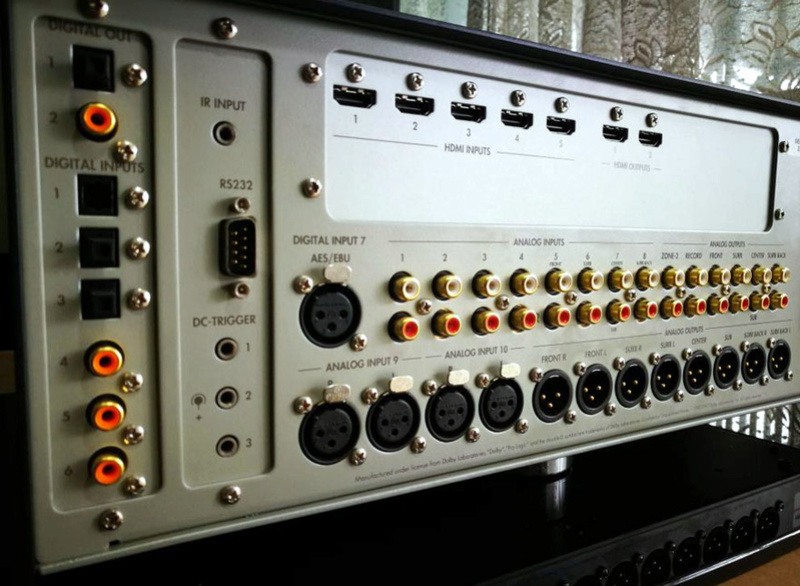 Eight pairs of unbalanced and two pairs of balanced analogue audio inputs are provided together with seven digital audio inputs (incl. professional AES/EBU). 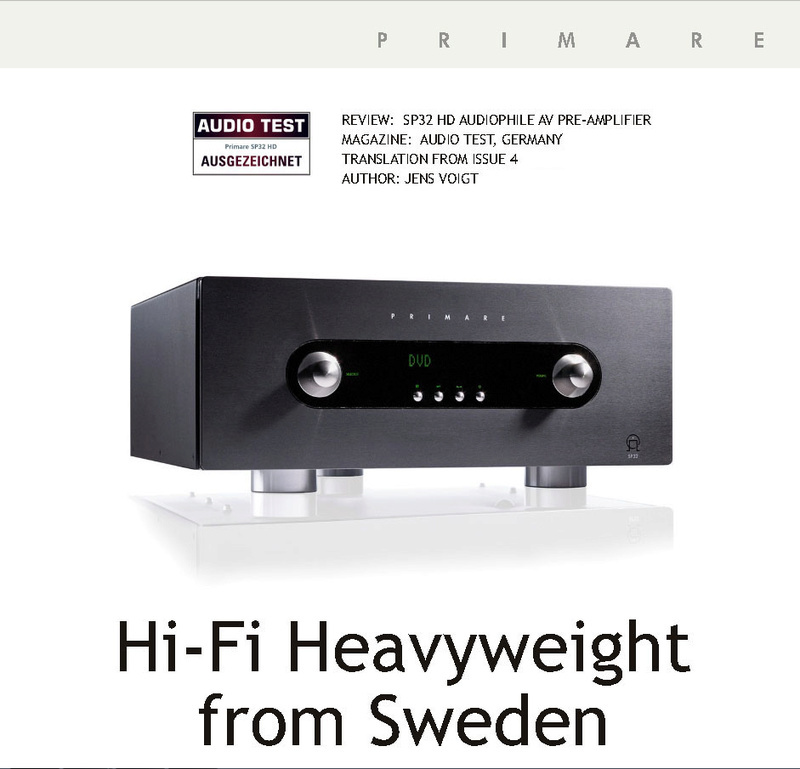 "Whether it's a multi-channel audio or stereo source, the tonal reproduction of the SP32 can be described as vivid and detailed. 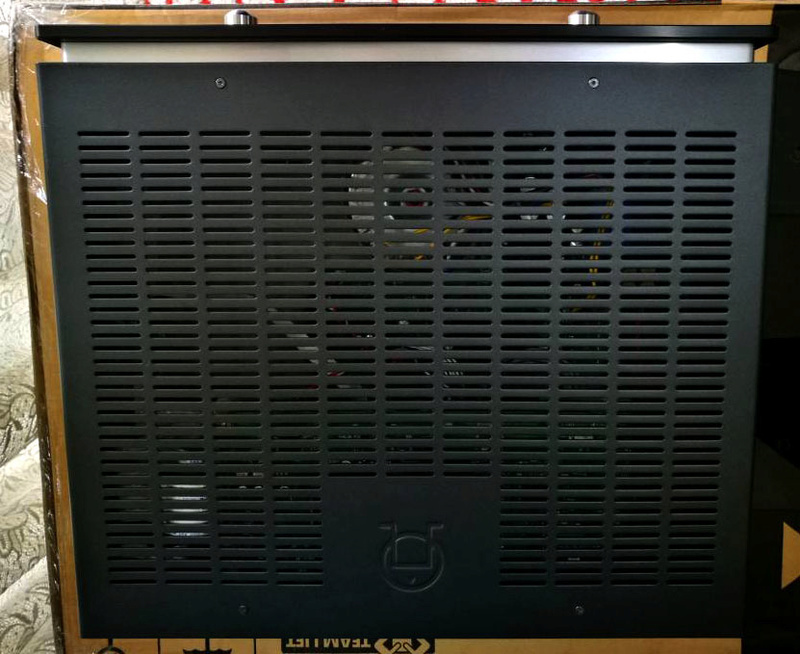 It achieves the difficult balance of bass and low midrange warmth with the right amount of bright sound intensity. Thus, the depth and width of the acoustic stage in all playback formats is excellently represented. In the surround field, movements appear organic and not obvious. Speech intelligibility is excellent, so song and spoken words are reproduced vividly but with a relaxed quality without audible sharpening or hardening. Listening impressions are of a very natural sound, so well designed that they also do not affect the phase response and the group delay. 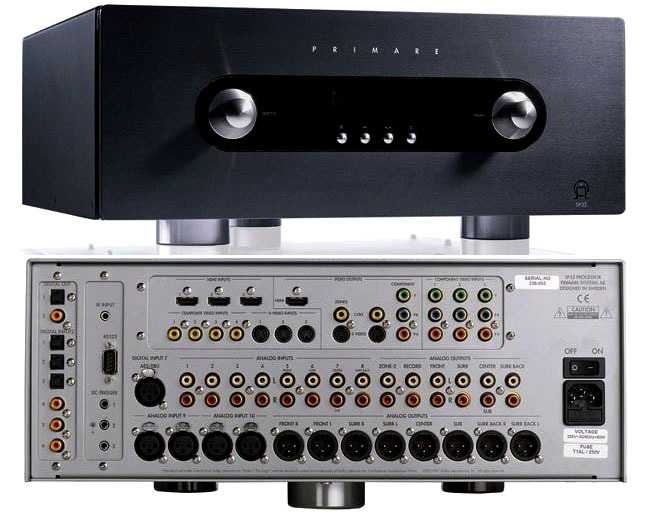 This surround preamplifier is recommended for all those who take the sonic experience to heart and who do not want to get lost in the menu. So connect, install and enjoy the sound! The SP32 has such a reservoir of power and communicates with such precise fluidity. They are just as remarkable playing very softly with the touch of a watchmaker. 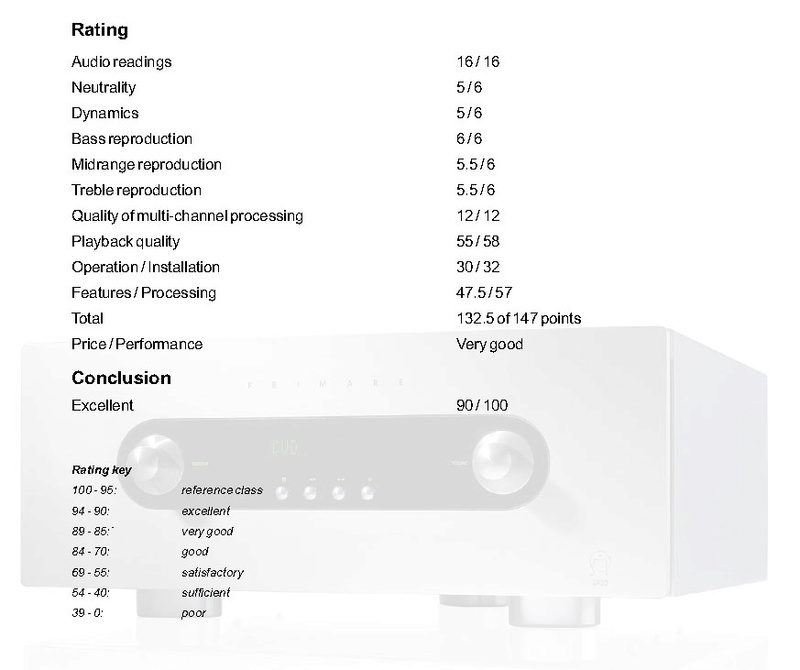 The SP32HD is at its best on DTS HD MA recordings, with astonishing slam, speed and precision. It never gets overwhelmed, rushed or wrong-footed. The absence of all electronic room correction is liberating and provides space around all the sound stage. 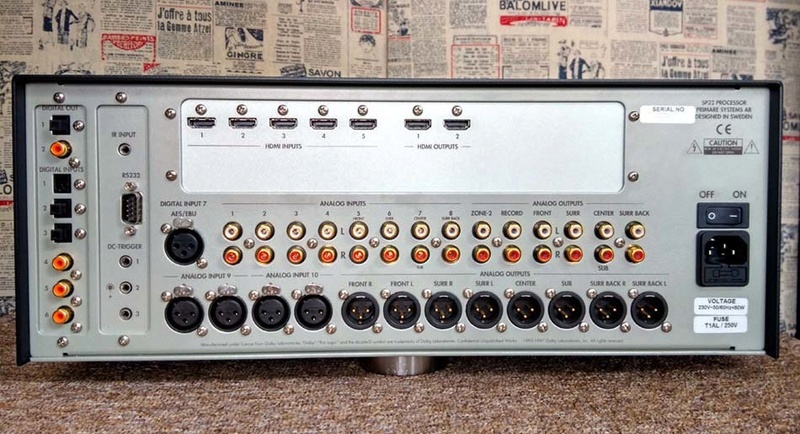 Throw a 24/96 PCM stereo source at it and I often struggle to leave the room. The sheer amount of data it presents is just extraordinary. The sense of realism, of environment of 'just wanting to pick up its skirts and run' makes it a treasure to own. I send frequencies down to a very low level to the 802 Diamonds as they have an extraordinary low frequency capability. Thus the only sound from the sub is from the LFE channel thus I can easily observe the control the SP32 has over the lowest frequency and it is always fast, clean and way way down deep. I have set the Parasound amps to run in ultra high class A bias and the combination is a sense of believability I have never heard before. The SP32 is neutral but not cold and can sing like Eva Cassidy." 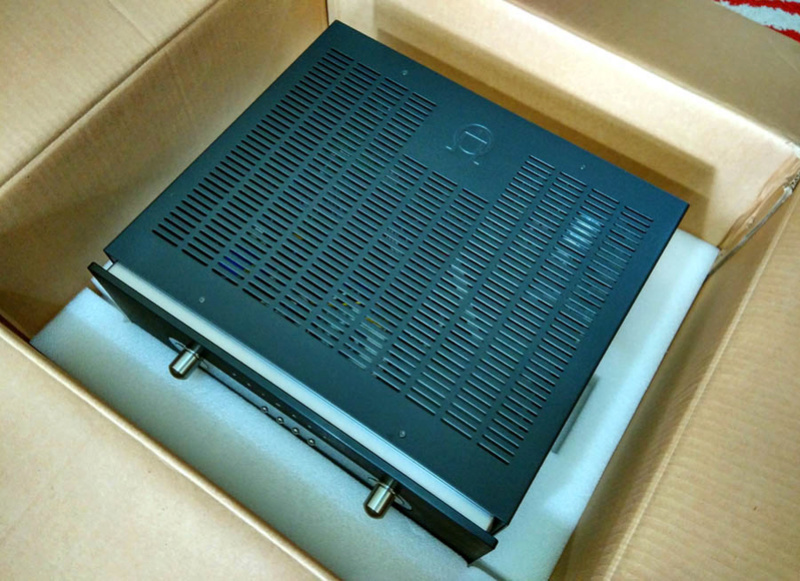 Comes with box, manual, power cord, remote control, and the previous HDMI video board.